On June 13, 2018, at approximately 7:30 AM local time a road painting truck crashed through the guard rail into a wetland with a small stream going through it. 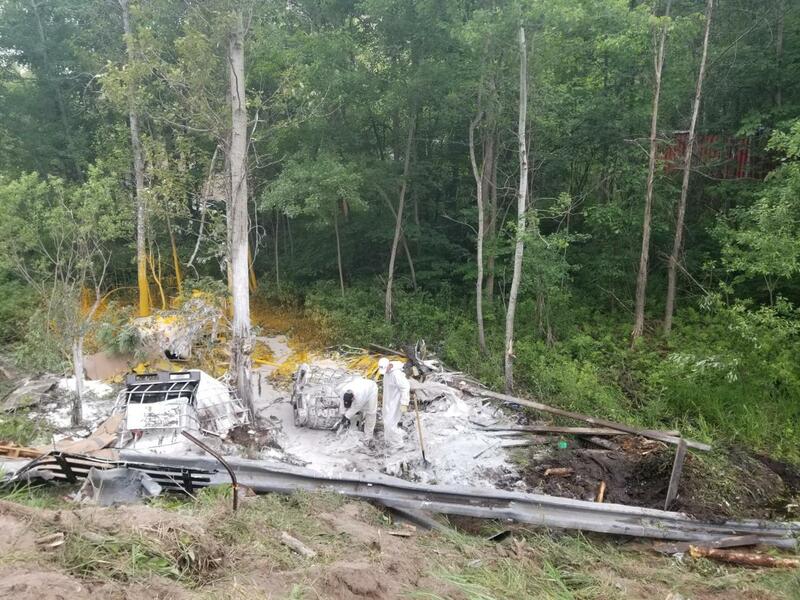 The truck overturned off of Garfield Road between Sharkey Road and 3 Mile Rd S in Traverse City, Michigan spilling approximately 1250 gallons of white and yellow road marking paint into the wetland and stream. Multiple Grand Traverse Grand Travese Emergency Response agencies responded to the incident and secured the scene while the clean-up activities commenced. Efforts are ongoing by the truck owner, US EPA, Michigan Department of Environmental Quality, Grand Traverse County Emergency Management, Grand Traverse Metro Fire and others to recover the spilled paint from the land, wetland, and stream, and to assess the full extent of the spill’s impact.